Amelie Jonsson is from the YWCA/YMCA of Sweden. 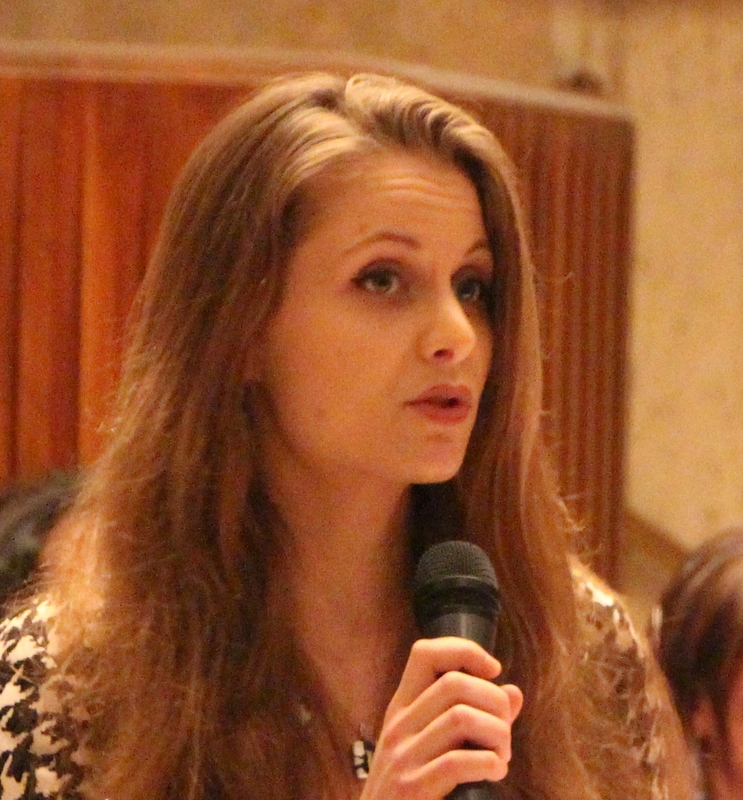 Her voice is one of the many from the YWCA Movement, representing at CSW 2013. Amelia shares her concerns on the challenges of women in conflict zones and how a collective action must be taken towards the cause. The question of security connected to rights and young women is an interesting and pretty complex issue. Last Wednesday, the event Human Rights, security and young women – Strengthening protection and leadership on UNSCR 1325 (moderated and held by the World YWCA) discussed this topic. There were many interesting views, but the one that caught my attention the most was the one about the seemingly common assumption that security is connected to what Joseph Nye (American political scientist, Harvard University) would call “Hard Power”. The production (both for internal use and for export) of weapons and military equipment and the focus on military issues is a fact in many states and often costs a large amount of money. Increasing globalization and integration can be argued to have caused a slight “change” of attitude and the interconnection between states (one example is the EU and the Euro) seems to have highlighted and given more importance and value to other areas such as the economy (China is a very good example both in connection to the USA but also to investments in African states), which Nye calls “Soft Power”. However, the perspective towards women seems to be the same, no matter what subject is being emphasized. Women still suffer, as proven by the many examples highlighted at several events here at the international gathering of NGOs and governments. An issue of great concern is the actions taken by states to fuel ongoing conflicts and violence in other regions. A state which officially supports peace, diplomacy and human rights may, on the other hand, extensively export weapons. Sadly, I have to admit that Sweden is one of them and one of the largest arms exporters per capita. Arms that are being sold, used and reused. This leads to the suffering and oppression of women at an international level and may be one of the greatest problems in the fight for women´s rights. Here is a link to an interesting trailer to the movie Women, War and Peace. Unfortunately I have not been able to see the whole movie yet, but the trailer makes a good start. One of the producers is Abigail E. Disney who also was one of the speakers at the media as an instrument to fight VAW in conflict affected settings event, moderated by World YWCA here at the CSW. While watching this trailer it might be a good idea to think about if and how your own state is contributing to these women´s painful destinies and insecurity. We need to be critical and not only point at others and say “shame on you”. The fact is that you may also play a big role in it. then we have to apply these strategies to all women.